Your complete IT help portal! This video will show you how to build a mining rig on a budget. This video will show you how to build a mining rig with a strict budget. I have tried to do a build where I keep the costs down to help people who might not have a massive budget but still want to get into mining. In this build I really only buy three parts. Power supply risers and graphics cards. The rest I was able to get for free. First Mining Rig Build Parts below. ► Motherboard free follow links above if you need one. ► Ram free follow links above if you need one. ► CPU Free follow links above if you need one. ► Frame free follow links above if you need one. For this guide and other 123myIT social pages see the links below. 123myIT’s video on How to Mod Sapphire RX 570 4GB Elpida Bios! I use MSI Afterburner to adjust the clocks of the cards until they become stable. Stability is very important for mining cryptocurrencies as this allows your rig to keep mining when it might otherwise go offline. Because you are squeezing every inch of power out of your GPU by over clocking the GPU and undervolting it to save on power consumption. AfterBurner Settings I use to get rig stable. Mem Clock: 1970 or 1980 or 1990 or keep going up by 10 till its stable. You can download the modded bios from the 123myIT Downloads section here. There is two different versions. 256 size version and the 512 size version. The Sapphire cards for some reason have two different type of bios sizes. Both should work fine, but you use these bios at your own risk. This bios was created by people on the Anorak.Tech website. 123myIT’s First Mining Rig Build! Well busy time of the year Christmas. For of all Merry Christmas to all. So I have been very busy trying to get into the Cryptocurrency market by learning how to build a first mining rig. This video will show you how I got started as I go about building my first mining rig. the aim of this build is to mine Cryptocurrency’s. Mainly Ethereum and Bitcoin. 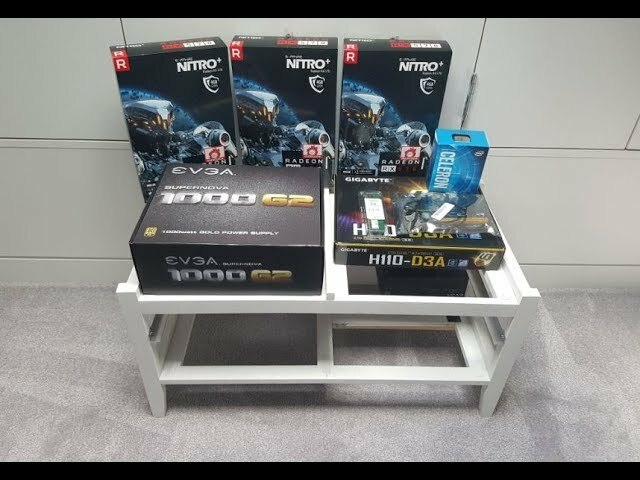 Below is a list of parts that I have used in this first mining rig build. This motherboard is specifically designed for 6 GPUs and is cheap buy in price makes it a steal. Worst comes to worst you can reuse this motherboard for gaming if you wish. We choose the Celeron CPU because it’s cheap to buy. But also it’s cheap to run. 3930 has a power draw of 51 watts. EVGA power supply are probably the best power supplies around. Their power supply’s efficient and they also have plenty of cables so that you are not daisy chaining to much hardware together. You can go the cheaper 4GB of ram. But just in case I want to turn this rig into a gaming PC I went with the 8GB of ram. 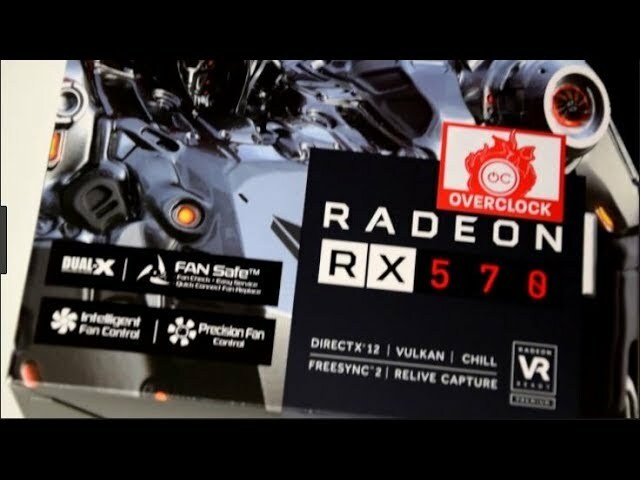 Sapphire RX 570s pound for pound probably the best cards that’s you can get with regards to hash rate and power supply. The higher the hash rate the higher the return on investment. PCIE riser cards, these little babies are used to lift the graphics cards off the motherboard allowing you to stack more graphics cards. Your SSD allows you to store the Windows 10 software along with the Software that you will use for mining example NiceHash or Claymores. ► Frame if you need one. This hold all your equipment together in one frame. I made mine out of a chest of draws that someone threw out. Cheap and good for the environment as it doesn’t go into landfill. I hope this helps guys. Heap more to come. Did 123myIT help you fix a problem? Why not make a small $3.00 donation? All donations go towards new hardware for more videos.